The last step of the instructions guides you to take a taxi to KAIST. 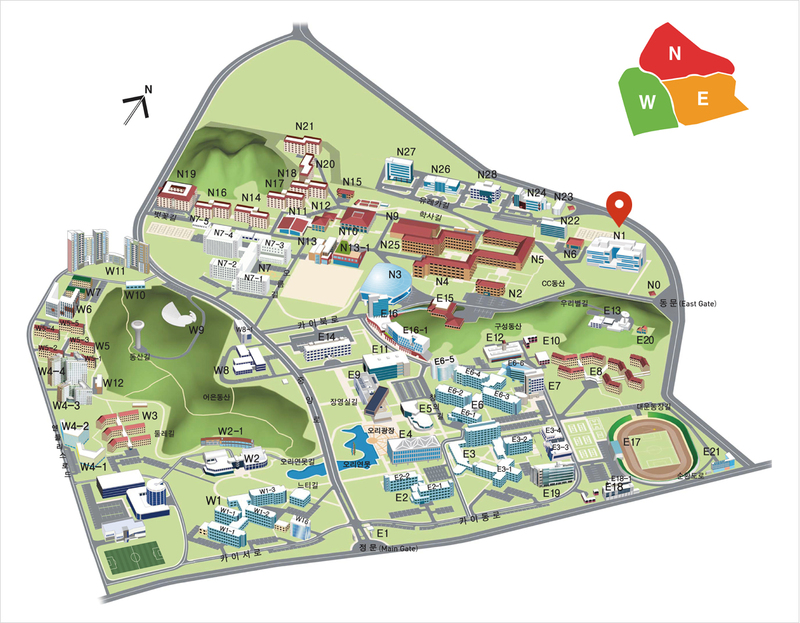 Ask the taxi driver to go to Building N1 which is marked on the campus map below. When you arrive at N1, you will see a sign guiding you to the Camp.